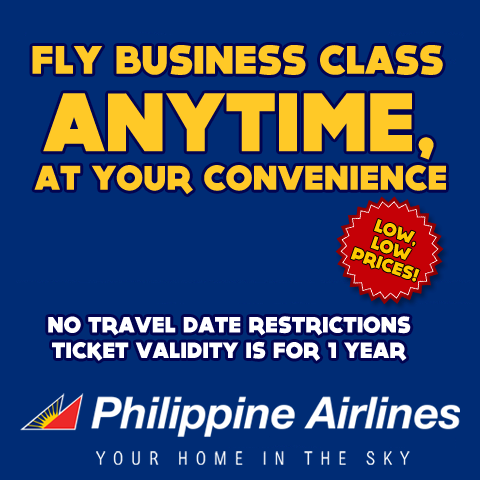 Philippine Airlines Promo 2019 - 2020: Pal Promo Fares 2013 All New! 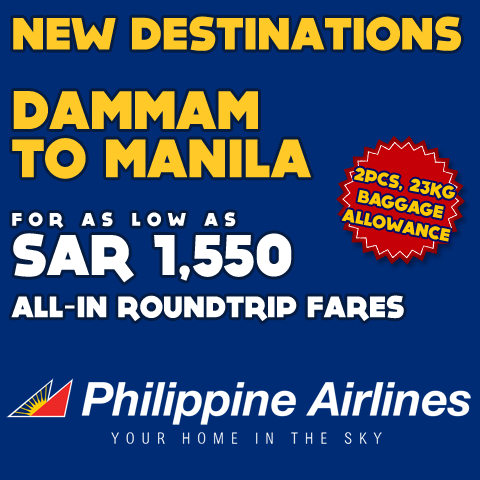 Fly from Dammam to Manila for as low as SAR1,550 with 2pcs. of free baggage allowance at 23 kilograms each. 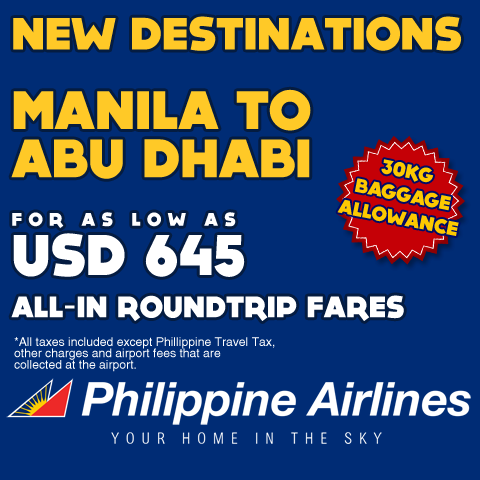 Fly to Abu Dhabi for as low as USD 645, with 30 kilograms of free baggage allowance! Travel in style with your home in the sky! Fly Business Class from MANILA to HONG KONG for only USD464 or Php20,140 roundtrip!